“We were the pioneers of Greek food in Halifax,” says owner Evangelos Panopalis. 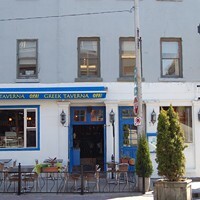 Athens serves up authentic offerings, so you can enjoy a hefty taste of Greece, a hop and a skip away, for a fair price. Panopalis says he wants to keep familiarizing people with traditional Greek flavours and presentation. “We try to keep it as authentic as possible, but we want to please all customers,” he says. He adds that all Greek recipes were passed down from their family, and his father is the chef who recreates them to perfection. 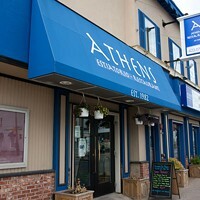 Whether you’re vegetarian, vegan or gluten-free, everyone is welcomed to dine like family at Athens. Opa!